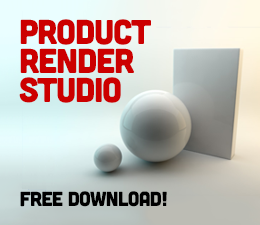 So here it is, my Cheetah3D product render studio for you to download and use as you see fit. The file is free and you can use this for any projects, commercial or non-commercial. If you do use it commercially then I’d really appreciate a contribution but it’s not a necessity! The studio as the name suggests is great for anything product related. The softboxes to the right and left of the camera cast a pale orange and blue into the scene which works well if you’re rendering white objects as they can look a little stark without it. 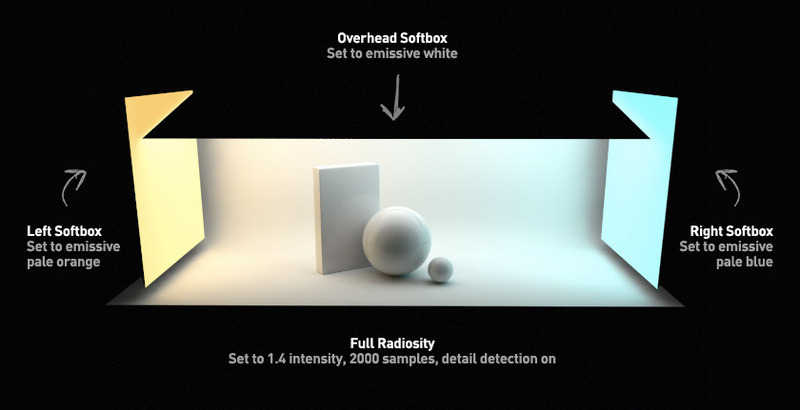 If you prefer a starker, cleaner render then you can set the emissive values of the material associated with these softboxes to white. Very nice David. Love to see if you can build an HDR panorama from this. Yeah, thanks for the post. Nice set up. I have a copy of the same book “Digital Lighting and Rendering”. I read through it once, but now I need to go back through and actually use some of the ideas in the book. Your file will give me good insight on how to translate some of it over to C3d. I’m rendering this now on my G5 iMac at work. I just got an i7 27″ iMac at home. The G5 already clocked in at 1012.86 seconds. I’ll post back later for the iMac i7 render time. So far though most of the renders on the i7 have been about 40x faster than the G5! I’m Swizl on the C3d forum BTW. Thanks for the comments! Tonio – HDR is a pretty neat idea, I’ve not created one myself before, I’ll give it a go.Simon – that render time seems crazy, my 2007 Macbook Pro renders this in around 120 seconds, have you made any significant changes? Thanks DaveI dug out an old C4D Handbook the other day, and it covered how to build a Cyc usng a bezier nurb to illuminate a room from outside the windows. I’ll have to see if it’s possible to replicate in C3D and add it to your product render studio as another lighting option. My version of C4d was Version 6, so it did not have HDRI (as far as I’m aware), and it’s so old, it does not work anymore. HDRI is great, but I can see that soft boxes and Cycs have potential to provide a greater degree of control over the lighting. Hi Chris, I had to look up Cyc – I’d never heard of one, you should have a try – it teaches you quite a bit about lighting. I’m finally getting to grips with radiosity now! Hi Dave,I’ll give it go this weekend.Oops, by cyc, I mean cyclorama. Your floor and rear wall with that nice curved transition is what a studio photographer would call a cyc. In a photographers studio, the cyc might be white like yours, or have a scene painted on it.The one in the C4D book I mentioned is like a large concave cinema screen and is used for lighting a room through the windows from the outside. Sort of like a softbox, with an image of a garden or street mapped onto it – if that makes sense.Thanks again for the render studio. Just did a render with it – it looks amazing. Thanks for sharing this David! Anyone fancy sharing their renders? I’d love to see it in use. Wow, nice soft lighting! Thanks for making this, testing it out now! Looks nice! Going to try some rendering right now. Thanks for sharing! Will file this away for future use. Thank you. Great job Dave. Thanks for sharing. Thanks for this. Just downloaded it for future use, as I still haven’t got to grips with lighting in Cheetah3D. Thanks for sharing this, Dave! I was thrilled to stumble on your blog today and I’m extra excited to try this out. I’ve been experimenting with all kinds of lighting setups – your post on unpleasant shadow artifacts was super helpful as well. Thanks for this and all your posts! 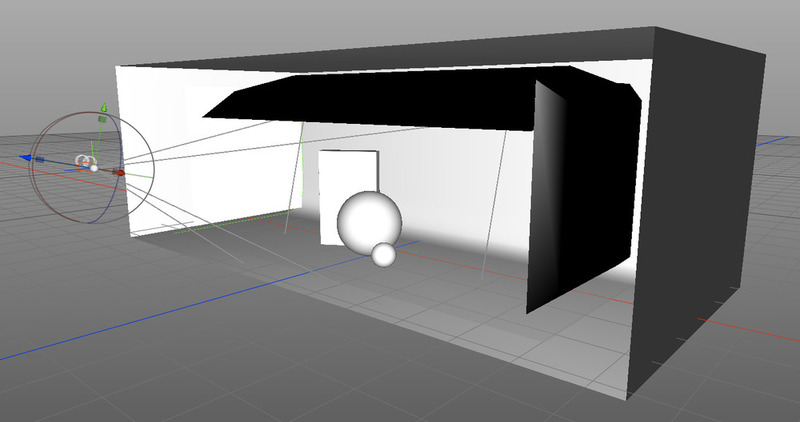 Just learning Cheetah, so this studio setup will help get my renders looking nice. Really helpful, I rendered some jewelry designs with this and got lovely results. 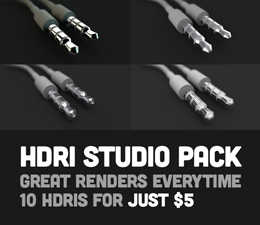 Thanks guys – anyone have any renders they’d like to share? So very helpful, David. I will be doing many renders in the coming months and would be happy to share them. Just found your file on C3D forum today. I am not a product modeler, but will concentrate on getting scenes to look well-lit for mood rather than realism. You will see more about what I mean as I create art work. More in the coming weeks. Thanks for your generous effort to inform the community. Thanks for this, David. I’ve just started with C3D and this was a great kickstart. Thanks too for the great tutorial videos. Great work! I was trying to build a file similar to this. Thank you so much! Thanks, david – I usually skip working hard on the set up. This looks gorgeous. I will post a render soon, this will make everything look so much better in my product shots. Great post. As a newbie to Cheetah and 3D in general, it really helps with understanding lighting. I do have one question, though. If all 3 objects have the same material, why are the balls shinier than the box? Is it just because they’re round and reflect the light differently? Hi Vinny, thanks for downloading and commenting!You’re exactly right in why the spheres appear to be more reflective – the more interesting nature of their shape allows them to reflect more of the scene. You can actually see the overhead softbox reflecting in them.Hope you enjoy playing around with the file! Thanks. One other newbie queation… what if I don’t want the softbox to show in the reflection? 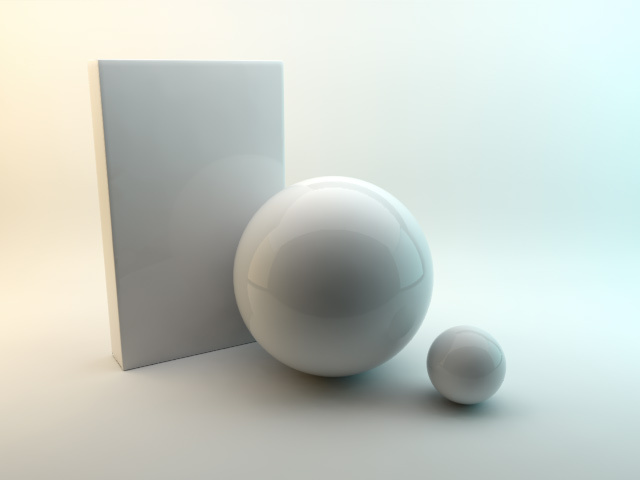 Do I need a render tag and, if so, do I apply it to the softbox or the ball(s)? OK, I got side traked.. and in the next couple days I will start uploading some softbox work. You should be able to click the button and then enter 0 as the price – that’s it! I downloaded this, and it’s awesome stuff. 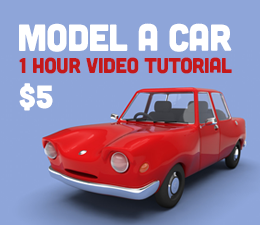 Your tutorials are super helpful and inspiring. Hi Kris, thanks for the kind words – I’m glad you’re finding the tutorials useful, hopefully will be releasing more soon! This is pretty dang Rad! love your tutorials. I love this a lot, really want it. Is there a way that i could pay you via paypal? having trouble with my card at the mo. Well Chris, the good news is it’s free – if you enter 0 in the amount to pay you won’t need to enter any card details. Hope you like it! Finally i was able to make some great renders out of cheetah, thanks to you dave. I wouldn’t bang my head to the desk anymore. Hey thanks for this Mate!! cant wait to get home and try this with cheetah 3d! No problem at all – hope you get some good stuff out of it! You saved my bacon. Cheetah is not a great substitute for Rhino of Solidworks, but it will do for now. Thanks for this. 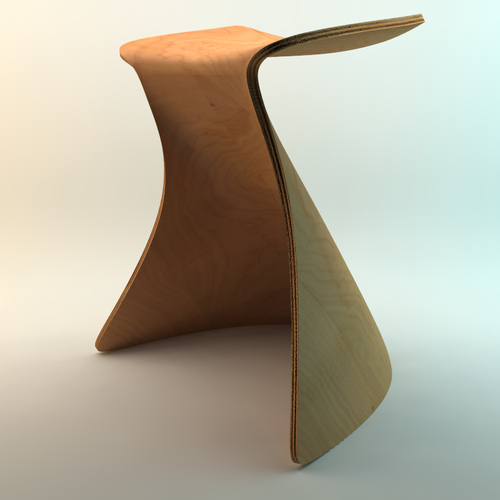 Hi David, glad it’s been useful – I haven’t used Rhino or Solidworks before but everyone has a preference I guess! Man U save my day…. Thank you for this, very useful ! I also follow you on youtube, your tutorials are great !